Boy howdy, have I got some money saving offers for you. If you are a parent, I don’t need to tell you how expensive parenting can be. 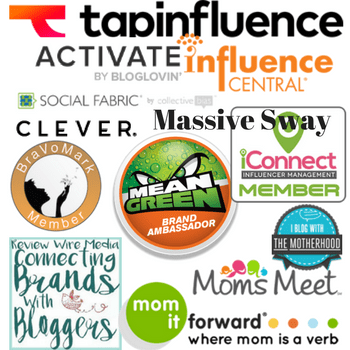 Saving money on the brands you love is a win-win situation. Back to those money saving offers I mentioned. 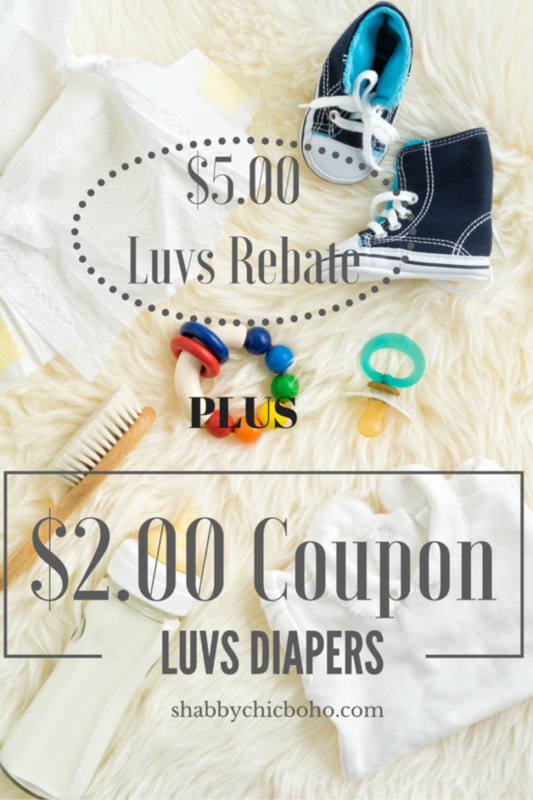 Not only can you print a $2.00 off coupon for Luvs, Luvs is also offering a limited-time $5 rebate on any boxed variety of Luvs Diapers, 54ct. box or larger. As mentioned above, Luvs is currently offering a $2.00 print-at-home coupon for all of my money saving savvy readers. Be sure to share this post with all of your friends and family members so they can print theirs as well. I’m planning to print out a few to hand out to my play group. 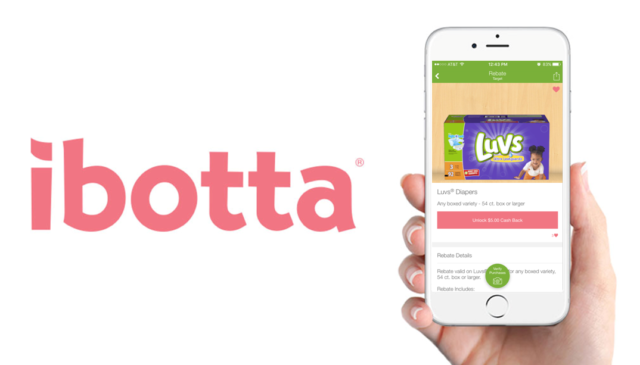 Not only can you save with the generous money saving coupon, Luvs has partnered with Ibotta app. What that means for you are more savings. Due to the partnership, Luvs is also offering a limited-time $5 rebate on any boxed variety of Luvs diapers, 54ct. box or larger. Are you following me here? $2.00 coupon plus $5.00 rebate means that you can save $7.00 on one box of Luvs. That’s pretty much a free box of diapers. 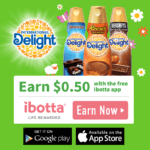 After printing out your coupon, head on over to download the free Ibotta app, available on iOS and Android: iTunes, Google Play. 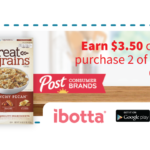 This is a new app to me but I’m looking forward to the cash back I’m going to get for shopping for my favorite brands at my favorite grocery stores and retailers. I’ve been browsing around to familiarize myself with the app and how it works. It’s pretty simple to use as I’m sure you’ll see when you download it as well. After purchasing Luvs at any participating store. Verify your purchases by scanning product barcodes and submitting a photo of your receipt. 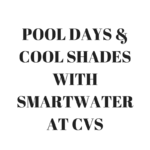 Save money and earn cash back! 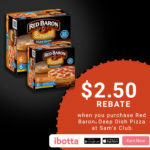 Your $5 cash back rebate will be deposited into your Ibotta account within 48 hours. It doesn’t get any easier than that. You may be wondering which Diaper is best for your newborn or infant and the answer is easy. Luvs. They’ve made it easy with their large refastenable stretch tabs so you don’t waste diapers anymore trying to get the tabs to stick. You’re already saving money. Even better is the Leak Barrier Leg Gathers and a Leakguard Core, plus Luvs largest absorbency area ever. Money saving, and dry bottoms, but that’s not all. A contoured shape hugs baby for a great fit, and a cottony material feels soft and gentle on baby’s skin. And then there’s the Luvs Money Back Guarantee. They are so sure you’ll love their diapers that they are willing to give you your money back if for some reason you are not completely satisfied. Luvs come in a wide range of sizes from sizes newborn through 6 and you can pretty much find them where ever you already shop. For more information on Luvs Diapers, visit www.luvsdiapers.com or the brand’s social media channels on Facebook, Twitter and YouTube. Don’t forget to #SharetheLuv and pass on these savings to all of you friends and family members with kids. Nothing better than a good diaper deal!!! I’m going to have to put Ibotta back on my phone! 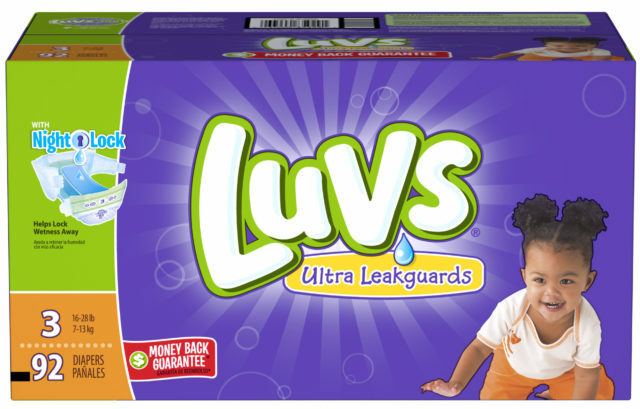 we are thankfully out of the diaper stage, but we used luvs for disposables when our cloth diapers were drying. Great! my sister says these are the best diapers, shell love having these coupons! Sadly this product is not available in my country but I can totally relate to the whole saving thing. $7 is a big deal. If you can save it monthly, that’s still $70 in just 10months. Havent tried Luvs. Seems it isnt available in our country. But would love to try it as well. I have an eight-month old baby and he uses disposable diaper. Love this! It’s just being practical. This would be helpful, especially for moms that is still using diapers for their kids. Sounds like a great deal. 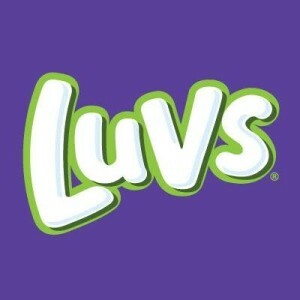 When my kids where babies I used Luv’s I thought they were a good brand to use. I am glad they are still around and will my friends with babies know about this fantastic deal. Diapers are never cheap so it’s always nice when you’re given a deal like this. It’s going to help a lot of parents especially the ones who are trying to save while growing their family. This is a great coupon! Luvs was the only brand I used with all 3 of my babies. Ibotta is awesome! Happily don’t need diapers anymore. Those little shoes are too adorable. Saving money on diapers is always good. I used Luvs with my babies a while back.